Free Gamer - Open Source Games: Fantasy Portrait Marathon Update and Reddit Game Jam #4 in a few hours! 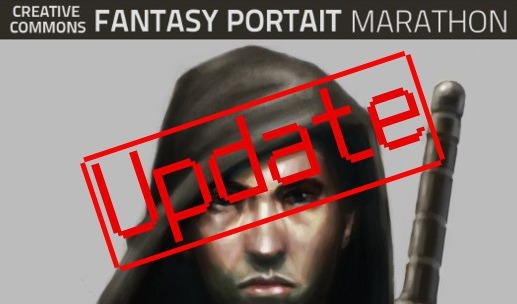 Fantasy Portrait Marathon Update and Reddit Game Jam #4 in a few hours! I sure hope we can arrange this gift of Justin's video to ourselves..
You can spread the word on fsdaily and reddit. In other news: there's a 48h game jam STARTING TODAY! Here's the IRC channel, here are the rules. I recommend github and love2d!